During this summer which was moderately busy, we ran some proposals to sell the open dates in our schedule. At the same time, we cautioned that the winter was going to be the opposite, and to get your winter dates before they were sold out. I can understand how people thought that was just sales-speak (I might have thought the same thing), but many winter dates are sold out. If you would like to have us with you, check our availability NOW! This goes for next summer, too: we are giving some players time off next summer, so while demand is lower, so is our “stock” of players, making Summer 2017 quite like our winter schedule in terms of limited availability. Dueling Pianos provided by Fun Pianos: If it isn’t Fun Pianos, it isn’t FUN! Who Loves the Fun Pianos dueling pianos show? Do you like dueling pianos? But you fear that it wouldn’t be appropriate for your private event? Now have a FUN day! Next week, here is where we will take the Fun Pianos dueling pianos show: Wausau WI, Fargo, Illinois. After that, it’s Texas, Wisconsin Dells, Quincy IL, Omaha, North Dakota and Columbus OH. Dueling pianos isn’t enough to describe why we get the reviews and repeats that we do: it’s FUN Pianos, delivered by performers who have 10+ years experience not just playing songs … Anyone can get up and play songs and hope people singalong … we are experts at creating fun and bringing the fun out of people. What a stretch of FUN we are having throughout the country! 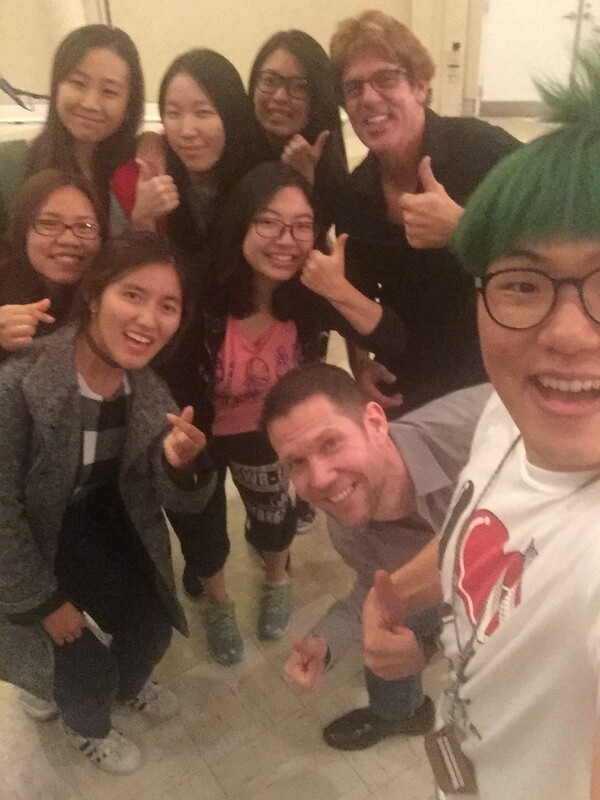 In just the past 12 days we have gone to the places to provide interactive fun with our special brand of dueling pianos: St Paul, Defiance Ohio, several shows in Nebraska, Indianapolis, Hollywood, Sioux City, West Bend Wisconsin, Colorado Springs, and a couple shows in Goodland and Great Bend Kansas. 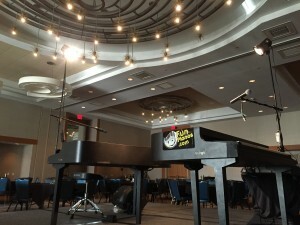 Dueling pianos has it’s ups and down through the industry, but to get a professional job you can trust from a company with over a thousand contactable reviews, anyone who hires us knows we are the 100% confident company to provide not just dueling pianos, but FUN to your corporate party, fundraiser, small town event, wedding, etc. Where will Fun Pianos be this week? Where WON’T Fun Pianos be this week! Our show is all interactive, comedy, musical dueling pianos. Colorado will see it for the third time in a month tomorrow. Three Thursday shows this week display our increasing knack for filling up our weeknights. West Bend Wisconsin, North Hollywood California and South Sioux City: dueling pianos lovers who especially love the format of show that Fun Pianos brings. Some weeks are light, some weeks are not. This week is the calm before the storm for Fun Pianos dueling pianos. Indianapolis awaits us Saturday, as does Minnesota, where we will be in our 5th straight week of bringing the Fun Pianos dueling pianos show to college events…this one a homecoming event. We are proud to say that both clients this weekend have had us at least five times! Then…busy! Tuesday in Colorado, three shows Thursday 10/6 including the Fun Pianos dueling pianos show in Nebraska (South Sioux City), Wisconsin and Hollywood!. Friday, 2 shows in Nebraska, then Saturday it’s the Fun Pianos dueling pianos show, “Kansas style” with two shows there. The week doesn’t end there as the fun travels to Indianapolis. Dueling Pianos by Fun Pianos hits the whole country this week! What a week of entertainment with Fun Pianos! This week we continued our tradition of several shows for colleges: dueling pianos presented by Fun Pianos and our special interactive-based show means that families stay for the whole show as they did for “family weekend” events recently in Nebraska, New York, Texas, South Dakota just in the past couple weeks. We also were fortunate to share our Fun Pianos dueling pianos in Iowa, Kansas City and Grand Forks all on a Wednesday night! Thursday we were in Auburn IN and Davenport IA as well. Somehow we didn’t hit the mountain time zone last week, but we will be bringing the show to Colorado Springs next week. Like much of the country, Dueling pianos in Colorado is now the domain of Fun Pianos! What great people in Oskaloosa IA! We played this event on short notice after a double-quirk of scheduling, and I was incredibly impressed at how much this town cares about…it’s town. 🙂 This community works together as well as any small town we’ve comes across. It’s our third time to Oskaloosa doing our Fun Pianos! traveling dueling pianos show, but our first public event. Our previous shows were each on days of temperatures below zero degrees. This night: 95! The community pulled up chairs in the town square, then stood up and had fun for 2 hours with the show..it was a very gratifying evening. Thank you for having Fun Pianos!, Oskaloosa! Assigning players isn’t done randomly. In fact, when you book a show, most of the time the player closest to you is the one assigned to your event…. but that isn’t ALWAYS the case. Here at Fun Pianos, we are often asked how we decide which dueling piano players will be assigned to do each show. Although we have offices in Omaha Nebraska, Phoenix Arizona and Tampa, Florida, we have players from all over the United States who will go anywhere to do shows. It is well known that Sam is from Detroit but has been living in Seward Nebraska for some time now. Jefrey currently resides in Phoenix, Arizona, Steven lives in Los Angeles, California, and some players from Michigan as well as other states. Although Tyler is originally from the Tulsa, Oklahoma area, he lives in Tampa, Florida now along with Chris and their piano playing neighbor Keith has a place in Orlando. Katy is a Chicago girl, Steve lives in Houston, Texas and Gary just moved to Las Vegas, Nevada. With all of these players all over the place, it would seem that it would be difficult to do a show in a place like Manhattan, Kansas or Fargo, North Dakota – but Fun Pianos will go anywhere! We have been known to do shows in places as small as Grafton, NE (pop. 122) and as far away as Portland, Maine San Diego, California, Miami, Florida and Seattle, Washington. So the players who get assigned to do these shows are often chosen by their proximity to another event. If we were to do a show in Denver, Colorado – we might have a team of players come from Kansas, Utah, Wyoming, New Mexico, Iowa, or even North Dakota or South Dakota (if that is where a previous show was). For instance, if a team were to find themselves in Des Moines, Iowa on one night, they could easily do a show in Ottumwa, Iowa the next night and then bring dueling pianos to Minneapolis, St. Paul or Milwaukee on the following night. So Fun Pianos takes a lot into consideration when choosing which piano players are going to do which shows. If you are considering having Dueling Pianos at your next event feel free to contact us at any time. We have FUN…. and it is obvious from this great review we received from Sioux City, IA! Sorry I was out of the country on my honeymoon!! I thought the show was AMAZING!! It went much better than I had anticipated and was more than I had hoped for! My dad had been telling me he was not going to stay through the reception and he was dancing until midnight!! The guys were able to keep my grandmother as well as all of my young nieces and nephews involved throughout the piano show. I was told by many of my guests that this was one of the most fun receptions they had ever been to and the guests from the reception in the room next to ours kept stopping by my reception because the “music was better” and their DJ was “boring”! Thank You, Thank you, Thank you!! My husband, myself, our families and our guests had an absolutely amazing night! Dueling for a Few Laughs in Rapid City SD! The show is called “Dueling Pianos,” but you won’t see these pianists competing for audience attention. Ferguson, Jefrey Taylor and Steven Ramirez will take their interactive song and comedy show to Rapid City at 7 p.m. Saturday. The three will each bring their own specialty as performers to Rapid City, something Ferguson says is perfectly suited to keeping the show lively. Ferguson said that the show usually has two performers on stage at a time, with the two working together as a musical-comedy team. Ferguson said that each member was adept at switching to whatever the moment called for, however. Ferguson said that the key is reading the crowd and acting accordingly, playing whatever is going to get the best reaction out of the crowd in the moment. Megan Whitman, executive director of Main Street Square, said that this is the second time they’ve invited this particular Dueling Pianos group, with Main Street Square previously hosting other groups with similar shows. Whitman said that it’s a perfect show for the whole family. Whitman said that it’s a great variety show, mixing comedy with Elton John or Billy Joel classics and contemporary hits. Ferguson said that they keep up with the biggest hits, as they change from month to month. Ferguson said that he looked forward to interacting with the audience and getting them to be a part of the show. We pump the crowd UP! Tailgate parties are perfect events for Fun Pianos! to entertain you. Fun Pianos! has enjoyed spreading Husker Spirit throughout the country at many official Husker Huddle events around the country for 3 years (sponsored by the Alumni Association). These events are tailgate parties at Husker road games. With the help of the NU Spirit Squad and the Husker marching band, everyone has a great time and gets pumped up for the Husker game ahead. This year, we will be at the Miami Hurricanes game on 9/19, and at the Minnesota Gophers game on 10/17. Check out our Upcoming Events page on Face Book and get your tickets to the next Husker Huddle! We don’t just do tailgate parties for Nebraska though… our teams are from all over the country and can get YOUR crowd of fans laughing and cheering all the way up to the game. We are happy to celebrate with you and support your team… whether you are in Iowa, South or North Dakota, or anywhere else across the United States. Give us a call or shoot us an email and let’s get the tailgate party started! Don’t be left out. Make sure you join our mailing list and keep current on public shows, great deals and special announcements! What better place to spend Valentine’s Day, but in Valentine NE?! We’ll be there… you should too! We have 3 public shows this weekend… including our show in Valentine NE. We will also be in Cascade IA, and Gering NE doing fundraisers for some great programs. We would love to see you there! Come out and watch the most FUN interactive dueling pianos show, you won’t be disappointed! Our Dueling Pianos Party was a HUGE success in Seward NE! We want to bring it to you too! You love dueling pianos… and you love to party and have a great time… but bringing a dueling pianos show to your event was just too expensive and in the end, just not an option. We have discovered a way for everyone to be able to bring our show to their event. If you are interested in finding out more about how…email us at funpianos@gmail.com. We are very excited to move in this direction and can’t wait to see all of you in the future!